Nutrients include P2O5 (46%) and ammoniacal nitrogen (18%). DAP provides the correct proportion of phosphate and nitrogen needed for farming wheat, barley and vegetables. It is also applied in the early stage of fruit orchard fertilization. White crystal. Commercially available in colored state. Soluble in water. Used for grains, fruits and vegetables; banding (for calcareous soils) and broadcasting. Harshil Fluoride, has been engaged in manufacturing, supplying, wholesaling and exporting of an exclusive array of Fluoride Chemicals, Cryolite Chemicals and Fluoborate Chemicals since our inception in 1995. 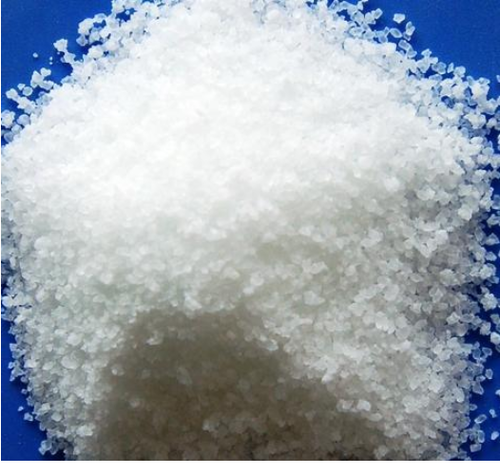 Our product range includes Ammonium bifluoride, sodium fluoride, sodium cryolite , Tin Fluoborate, Potassium fluoride, potassium hydrogen fluoride , Fluoboric acid , Lithium chloride and many more. These products are highly appreciated for their excellent finish, accurate formulation and quality. With the help of our talented employees, we processed the offered products with premium-grade ingredients which are sourced from leading vendors. Our products are demanded in various industries and availed to the clients at affordable price range. We are backed by diligent professionals, who make use of advanced resources installed in our world class infrastructure. Our infrastructure is widely sprawling and facilitates us, to process the offered product range as per the international quality standards. Owing to their quality, our products are demanded by the patrons. We ensure to fulfill our clients’ expectations in every possible manner. To enhance their convenience, our logistic personal render their consignments direct at their premises within given time frame. We have mustered a huge clientele base in various major markets across the world. These products are timely delivered all across Indian Subcontinent, East Asia, Middle East and South East Asia.